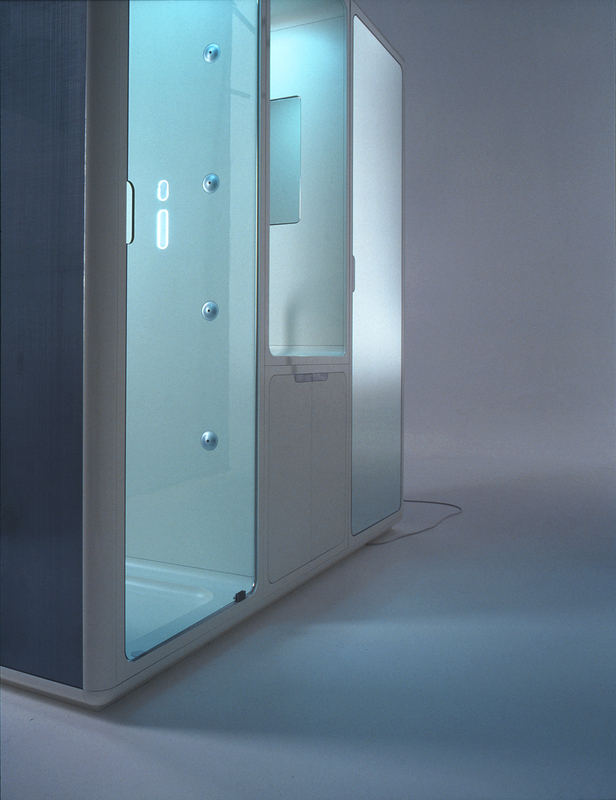 Body Box is designed as a technological piece of furniture, bringing together body and clothes care in one discreet unit. It was conceived during "Project F", a research conducted by four international design agencies from Milan, London, San Fransisco and Whirlpool's inhouse design team. It was awarded "Best of Category - Design Distinction" in the I.D. Annual Design Review 2003, and it was featured in The International Design Yearbook 2004. It was shown at the Milan Furniture Fair 2002 and was part in many exhibitions worldwide.